Ring Of Honor world champion Jay Lethal talks about his early days, JAPW, the support of his family, Sonjay Dutt, Beats, Positive Mental Attitude, Ric Flair, Carey Silken, Macho Man, Legacy of ROH, behind the scenes at Global Wars, New Japan Pro Wrestling, WrestleKingdom, Best In The World PPV, Shinsuke Nakamura & so much more. Flyers By West Ghost. Powered By Hi-Ball. 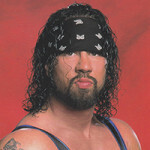 Week 40 – Guest: Sean Waltman PART 2!